From the past there is hope for the future! For one hundred years a church building stood in a small area tucked in between the railway line and the Caversham Road in Reading. 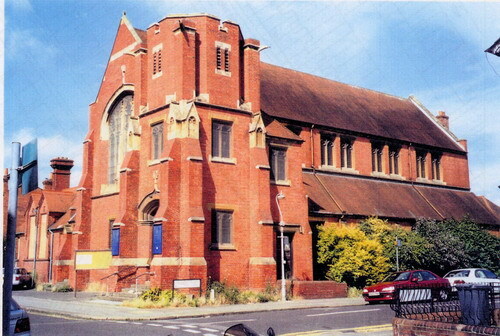 It’s name was St Paul’s and it was home to a United Reformed Congregation who had planted it there at the turn of the century, starting with a church hall and then building a classic church to the glory of God. Sadly over the years the congregation grew older and fewer in number but their heart and passion was still to reach out to the community though due to lack of finance the hall had fallen into disrepair and therefore their resources became limited. However, their vision did not dim but due to the pressure on the wider congregations of the URC they were unable to fulfil the vision. God had another way. New Hope, committed to providing physical facilities in support of community transformation, bought and redeveloped the site to include community centre, subsidised housing and a minister’s house. Having built the buildings - the easy part - how was the centre to be filled with life and the vision for community transformation realised? York Road is in the heart of the parish of Greyfriars Church. Greyfriars has a large and vibrant membership and so, in partnership with the residual St. Paul’s congregation and Greyfriars, New Hope provided a home for a community oriented church plant. The sense of community has diminished in towns across the country because there is nowhere for people to meet. Through the work of the New Hope Community Church in the New Hope centre a real sense of community has returned to this part of town. For details of the facilities and activities at the centre visit New Hope Community Church. For more details of Greyfriars Church visit the Greyfriars Web Site.